Join Me at the Table? As my feet start to recover from Embroidery Mart-COLUMBUS and I write the press release, review the photos and follow up with people, I am again reminded of how lucky we all are. 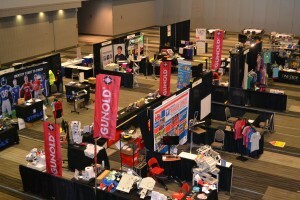 For while many businesses in this industry technically compete with each other, there's such a strong sense of community and camaraderie at the Embroidery Mart which I do not experience at other industry events. 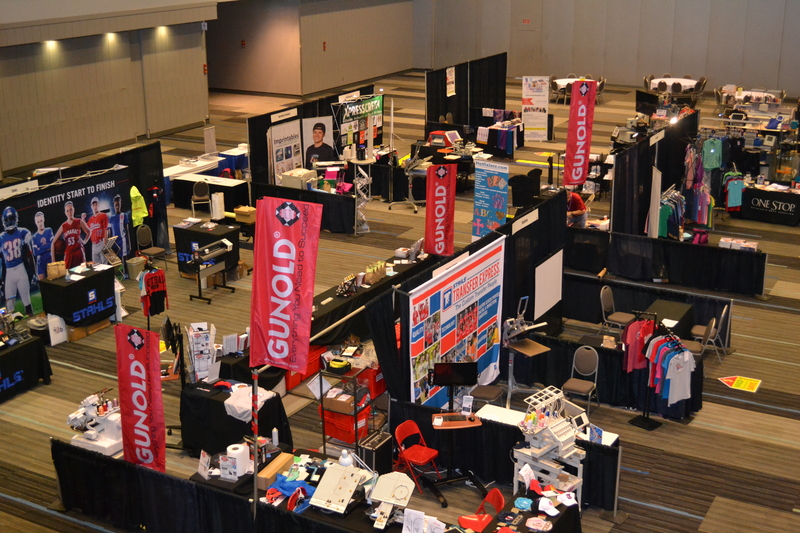 Because of that, I feel fortunate to sit in the NNEP booth and observe the trajectories of both the suppliers and the independent business owners, large and small. Even better, it is my honor to occasionally help. Each time that I can connect people and possibly help shift their business to the next level, either on the show floor or through the NNEP membership, it is my small way of celebrating and supporting their artistry, vision and commitment to success. But it goes way beyond me. The community of suppliers in this industry provides the tools for each embroidery and apparel decoration professional to find and negotiate their path to success, with a lot of laughs and good friends thrown in the mix along the way. Embroidery stands apart from other apparel decoration processes in a distinct way, because it can have a nearly magical ability to touch someone in a way that a more generic process can't. A personalized gift can invoke a response such as laughter or even deep thought in a way that 100 identical shirts rarely do. Or it brings back a memory of a person, event, place or experience that is so vivid it seems to transport us to that time and place again, even if just for a moment. Because embroidery connects people across time and space and celebrates our very real and human selves, it is very nearly an animate object - at least much more so that we expect. While the mechanism that drives the industry is volume work, every time someone buys a custom or personalized gift, we all benefit. This is something that many of us sense on some level, inherently. If we build each other up, no matter what our business looks like, where it is located, or how big or small we are, we are all stronger. When we engage in an adversarial or traditionally competitive mindset, these local battles distort the true goal of success for the independent business owners in this industry. We continue to define what professional embroidery and apparel decoration is. I invite all of you to sit with me at the table to reinvent and reinterpret it, together! Hi LeeAnn! Some of the NNEP Preferred Vendors offer these products to members of NNEP, and members realize savings too boot! I have Dakota Collectibles books and discs from 2004 through 2013 available. Lots of other items from thread and backings to Licensed discs from Nancy Zieman never used in business. For personal use only along with several Dakota Collectible design discs purchased at Joann Fabrics when embroidery business was still located there. Anyone interested I have much more available. Including machinery, threads and hoops. Former Tech in the Box business opportunity that lasted many years. Software is Illustrator 14 for Tajima DGML C-1501 TMEX. Called the workhorse. Purchased in 2001, needs updated with usb yet still works well with floppy discs.